When I was a little girl every lunch ended with dessert — and that dessert was a peanut butter and jelly sandwich on white bread. 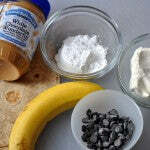 These days lunch is typically Crunch Time peanut butter on whole wheat bread, but sometimes you just need something a bit on the sweeter side. 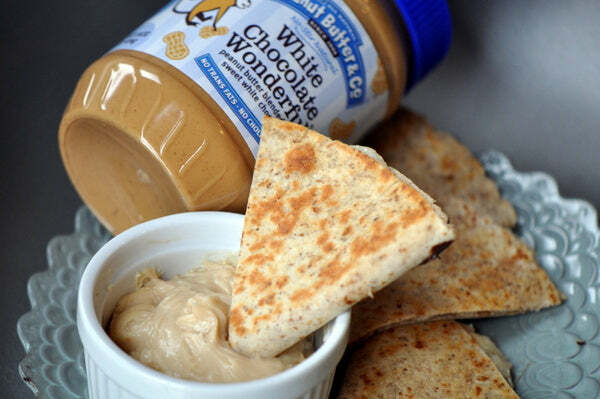 I’m not quite sure if this qualifies as a sandwich or dessert, but let’s just call it “lunch.” The filling for these quesadillas is so delicious that you will welcome the extra that it makes and use it as a dip for everything- fruit, cookies, crackers, or just straight from the bowl with a spoon. 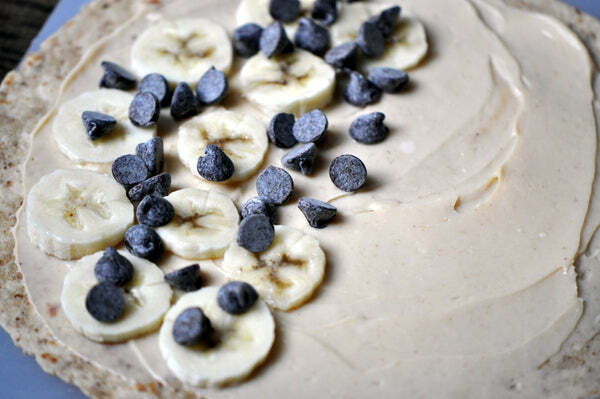 Smooth cream cheese, bananas, peanut butter, and chocolate chips mix together for a melty creamy sweet concoction that is out of this world. 1. 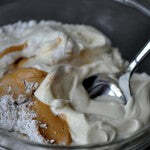 In a medium sized bowl mix together the cream cheese, powdered sugar, and peanut butter. Set aside. 2. Lay out all four tortillas and spread them with the cream cheese mixture — as much as you want! 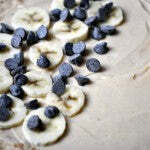 Top one side of the tortilla with ¼ of the banana slices and 1 tablespoon of chocolate chips. Fold in half. 3. Heat a large frying pan over medium heat and spray with cooking spray or grease with butter. Place one assembled tortilla in the pan and heat until the wrap is toasted and the chocolate is melted. 4. Cut into slices and enjoy! What could you imagine dipping into the extra filling from this quesadilla recipe for a yummy snack? Leave a comment below with your answer to enter for a chance at winning a jar of White Chocolate Wonderful, the peanut butter used in this recipe. – The giveaway is open to USA residents only and will run until Monday, August 26 2013 at 11:59 PM EST. – Winner(s) will have until 08/29/13 to claim their prize or we will choose another winner. 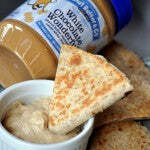 – Winner will win one 16oz jar of White Chocolate Wonderful. Product will be shipped by Peanut Butter & Co. 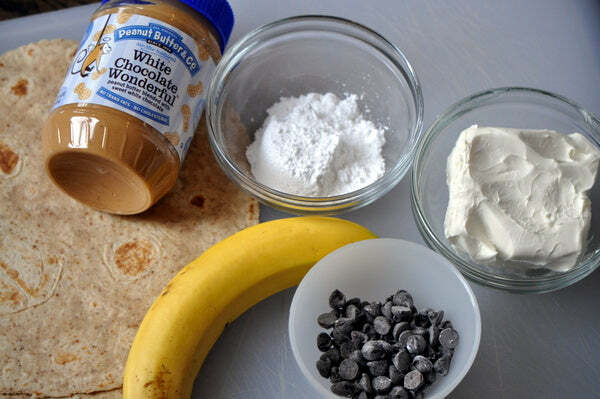 The post White Chocolate Peanut Butter Banana Quesadilla appeared first on - Peanut Butter & Co. Recipe Blog.